Our homes are a very important environment where our families spend much of our time. If our home is unhealthy or unsafe, it can lead to disease, injury or even death. Poor indoor air quality contributes to cancers, cardiovascular disease, asthma, and other illnesses, so keeping our home’s air quality healthy is a priority. • Poor indoor air quality is among the top 5 environmental risks to public health. • Poor indoor air quality is the fourth largest environmental threat to our country. • We spend 90% of our time indoors. 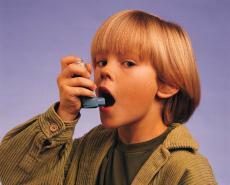 • 40% of kids will develop respiratory illness. • Medical costs for illnesses caused by poor indoor air quality total more than $1 billion per year. • Lost productivity from those illnesses costs between $4.7 billion and $5.4 billion. • There are an estimated 40 million Americans who suffer from allergies. • Asthma is the sixth ranking chronic condition in our Nation. As more elements in our homes are recognized as threats to our respiratory health, learning how to reduce allergen levels is imperative to managing illnesses like allergies and asthma. Common pollutants like radon, molds, mildew, dander, pollen, rodent droppings, and carbon dioxide enter our homes through air leaks in the structure. Happy Home Insulation can help by eliminating air leakage and preventing the infiltration of pollutants, outdoor allergens and moisture. The Connecticut Environmental Manual states that "one way to improve the air quality of our environment is to caulk, weatherstrip and insulate walls, attics, basements, windows, doors and pipes. "By creating an air barrier, reducing pollutants and allergens from getting inside, and proper mechanical ventilation, Insulating can make indoor air healthier than what you breathe outside. The EPA suggests that home sealing is one of the most cost-effective ways to make a home more comfortable and energy efficient and recommends blown attic insulation (cellulose) and wind baffles in their technical guidance and construction specifications for improving home’s indoor air quality. Read more: Environmental Protection Agency. "Insulating existing houses led to a significantly warmer, drier indoor environment and resulted in improved health, ...less wheezing, days off school and work, and visits to general practitioners as well as a trend for fewer hospital admissions for respiratory conditions." National Institute of Health. The quality of Your Home's Indoor Air Quality is Important to the Health and Safety of Your Family. Happy Home Improvements has promoted using Green Products and the most up-to-date Scientifically Tested Building Practices to improve our Customer's Indoor Air Quality for over 30 years.